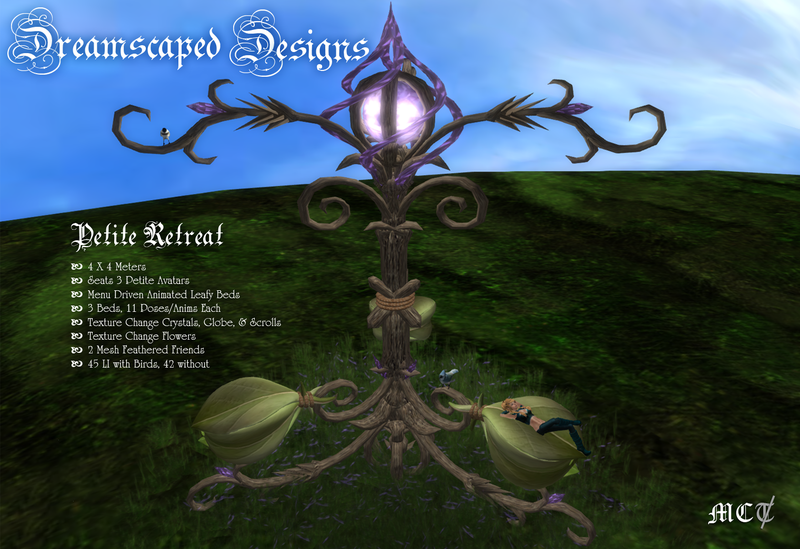 Dreamscaped Designs has a few lovely new releases at the Fantasy Faire this year... Eeee! Only a couple of days left and still so much to explore. Cuddle up in a Leafy Bed, perch amongst the flowers, gaze at the stars... make this your very own version of a haven with menu driven poses and texture changer. Two little feathered friends included! You and three of your closest petite friends can sit and chat at this adorable little picnic table. 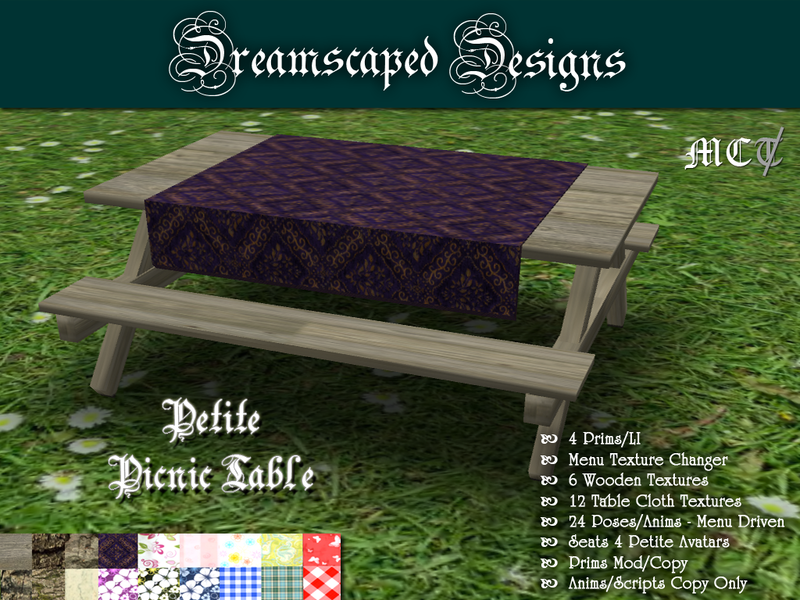 Menu driven poses and texture changes with some whimsical designs for your table cloth! Oh my eyes (but in a good way)! 5 New Cosmos Eyes with heterochromia details! There are also a few new tables in the RFL vendors as well if you're in need of one!